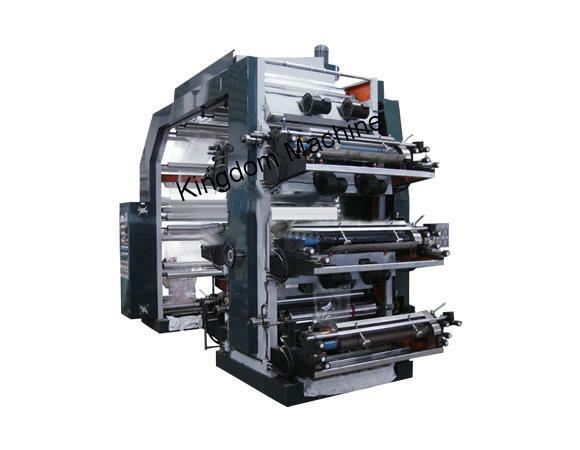 This machine is suitable for plastic film, paper, non-woven fabric and so on. 1. Easy to operation, accurate color, long life. 2. The use of motors, variable frequency speed control, saving electricity. 3. Off –printing roll automatic stop the ink-running motor, and up-printing roll automatic start running the ink. 4. Rewinding and unwinding system adopts tension controller, magnetic powder and EPC device to achieve good print effect. 5. The use of special helical-tooth gear, color matching is accurate. temperature control system for drying system. 7. Low-roller special steel processing, and special process, and plating thickness of 0.1mm protective layer of hard chromium. 8. Ceramic rollers with hard oxidation, treating by dynamic balance, static balance, can achieve perfect printing effect(optional). 9. With the cold wind system, can effectively prevent from ink adhesion after printing. 10. The printing produces are clear and good arrangement quality. 11. Bearing: NSK, Japan brand , Germany ASNU aluminum alloy roll.